Wake up to a sumptuous in-villa breakfast in our Premier One-bedroom Villa, and master the art of doing absolutely nothing while having absolutely everything you need for a relaxing staycation, soaking in stunning views and engaging in a mindful floating therapy at your private plunge pool. 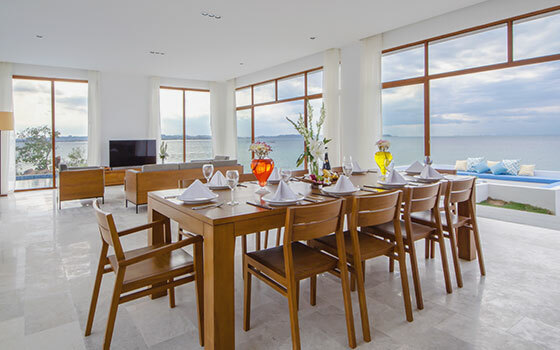 Montigo Resorts, Nongsa boasts individual contemporary residences. 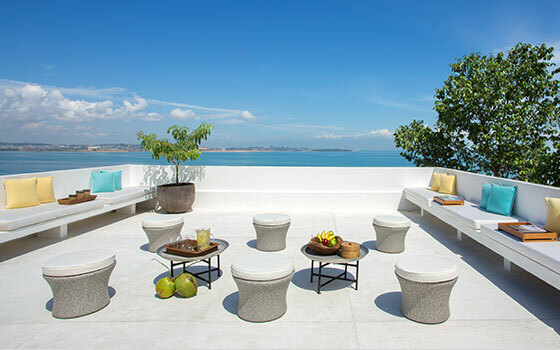 An architectural expanse of white, each villa offers uninterrupted views of the South China Sea. sky terrace. 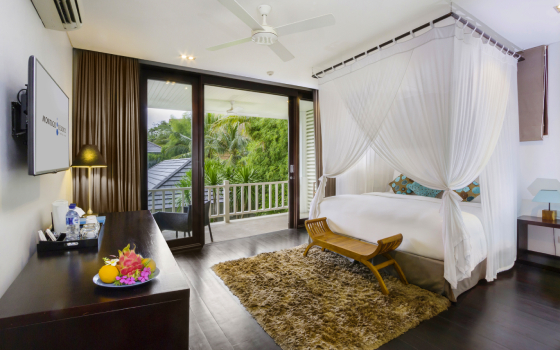 Our premier three & four-bedroom villas offer dramatic sea views and impeccable amenities. Its design emphasis is in providing you with the utmost in privacy and space. 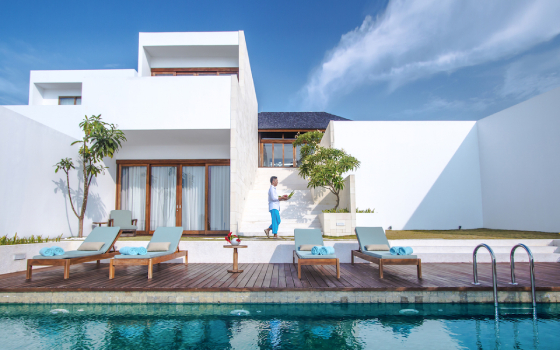 So whether you seek an escape from the hustle and bustle of the city or simply just looking to bond with family and friends, the splendour of our premier villas will deliver the ultimate getaway experience you will never forget. 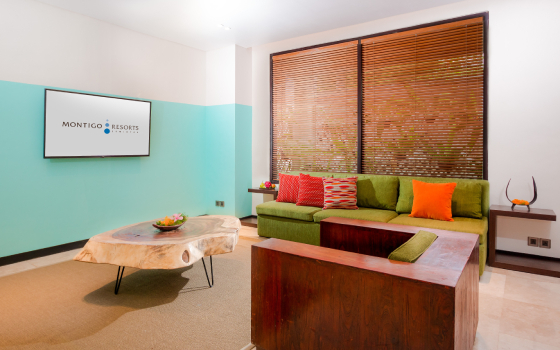 Pamper yourself in our five bedroom residences that offer a glorious blend of minimalism and luxury. Uniquely fashioned to create a spacious safe haven that renders aesthetic euphoria, our premium bedrooms features supreme down-on-top feather beds with deluxe linens and en-suite luxury bath amenities with Jacuzzi, for you and your loved ones to relish in paradise. Our Deluxe & Premier rooms offer an expansive yet homely living space topped with a spectacular view of the family pool. Featuring contemporary designs with stylish furnishings, the rooms are designed with well-appointed bathrooms providing luxury bath amenities and an outdoor living space with a cosy terrace. 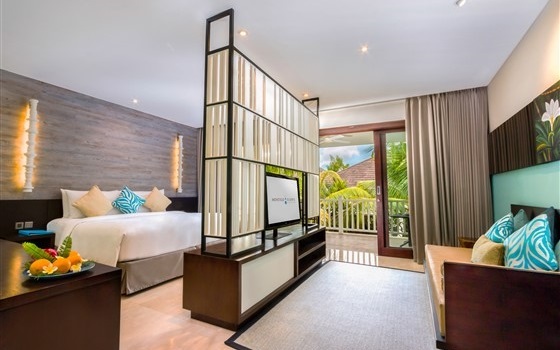 For unparalleled indulgence in one of the 5-star hotels in Seminyak, Montigo’s Garden and Balcony Suites, combine island charm with comfort, privacy and convenience. 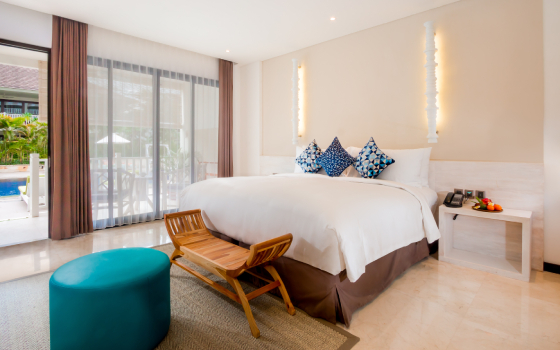 Set amidst the resort’s gardens and shaded pathways, each accommodation boasts over-sized patios and spacious bathrooms. Taking a holistic approach to wellness, Montigo Resorts, one of the leading Bali resorts in Seminyak offers Garden Pool Suite designed with a focus on your wellness and relaxation. Here, you’ll find your senses invigorated with tranquil surroundings and exceptional details that offer respite and rejuvenation for your body, mind and soul. The quintessential space for families and friends to come together and share experiences. 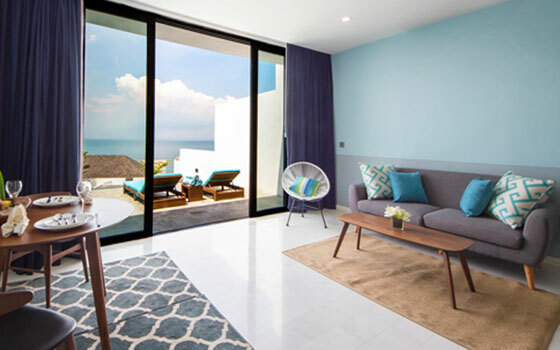 Unlike many Seminyak family resorts that seem secluded, Montigo Resorts is designed to provide an ideal mingling ground for guests who enjoy meeting new people and forming unlikely friendships.